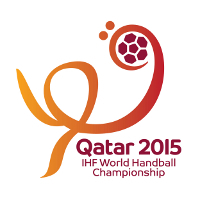 The International Handball Federation has released the seedings and procedures for the World Championship 2015 Final Tournament Draw taking place on 20 July (21:30 hrs local time) in Doha, Qatar. These teams will be drawn into four groups of six teams each. The first four teams of each group then qualify for the Last 16. The World Championship 2015 takes place from 15 January to 1 February 2015. All four venues are locates in Doha, the capital of Qatar.